I’m doing an experiment right now. I’m practicing total trust for 6 months. It started from a conversation with my friend Kim before my last workshop in January. She asked me “have you got all of your content ready for the weekend?” And when I said, “no” She said “aren’t you freaking out it’s just a few days away?”. For a minute I did start to freak out, but then I reminded myself that I had a rough outline and that the rest of the content really is always ‘downloaded’ in the moment. I’ve learned, after teaching and doing sessions for the past 10 years, that most of what I teach doesn’t come from what I “know” logically. 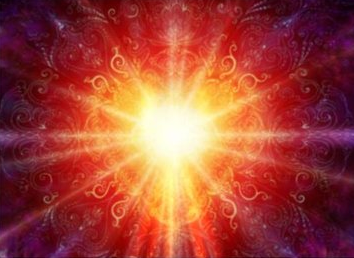 Most of what I teach comes from my direct experience listening to inner guidance, helping individual women heal their hearts and opening and healing my own heart. So even when I’ve spent hours scripting my material, it often changes when I start to teach it. I’ll be guided to share something that has been inspired in the moment and is what is needed right then and there. Over the years I’ve learned to trust this process completely. And so in that conversation with Kim, I had a revelation. What if I trusted the rest of my life like I trust the guidance that comes through when I teach? What if could access that same guidance in running the logistics of my business? What if I could trust myself in parenting my daughter the way I trust myself when I’m with a client? What if I trusted my body to show me what to eat and how to exercise? 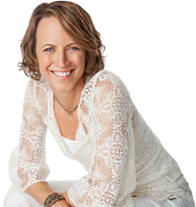 What if I trusted that sharing my heart and showing up on my path was the most important factor in making a living? Now I have to admit something to you. This whole “just trust” idea used to really trigger the sh*t out of me. My mom used to say to me “Just let go and let God” and it actually made me angry. I had to make things happen. You can’t just lay back and trust the Universe and have it actually work out ok, right? So to quiet the voice in my head saying “this is never gonna work”, I made a deal with myself. Let’s play a game with this trust thing. Let’s try it out for just 6 months and see how it goes. If it doesn’t work we can go back to the old way of striving, worrying and pushing. Let’s try, just for awhile, making every decision from a place of trust instead of fear. Well I’m 2 months in now. And it’s been really friggin’ scary at times and really awesome at others. And then I get guidance like I had in a healing session last week. So I’m redoing my website right now (which I am so excited about, I can’t wait to show it to you!) and I recently changed my tagline to Fall into Love. And in this vision, during the session, I was told by one of my guides that all I needed to do was learn about love and teach about love. Exactly what I want for you right? I can’t tell you how many times I get to teach exactly what I need to hear. Then in the vision, the heart cloud then started cruising around showing me where to go next. What to do next. Inspiring me to trust even more. And that trust is opening me and guiding me in the most passionate time of creating and teaching that I’ve ever had. 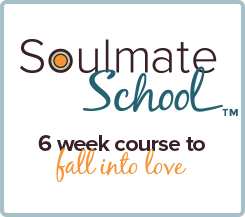 I’m creating the newest version of Soulmate School right now (begins April 15!) and I have never felt more in flow. Ideas, resources, support, meditations, new topics. It all is just moving so gracefully right now. I think I’ll continue this trust experiment for a little while longer. What do you think? Wanna join me? Let’s trust together and see what happens. Who knows? Maybe you’ll just Fall into Love. That would be amazing don’t you think?